Another mini project on the way today! Time is precious during term time, and I am trying to fit in some little useful projects at the weekend. 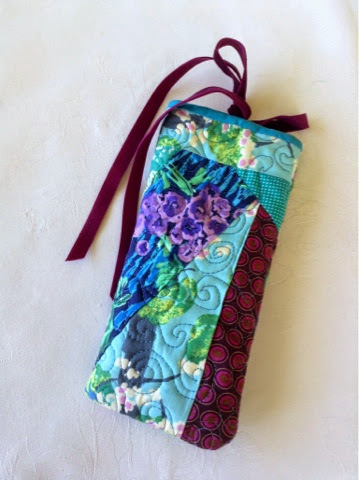 Firstly I need to show you the finished phone pouch from last weekend. It ended up rather on the large side because I didn't want to trim off any of the quilting when I put it together. The velvet ribbon tie is gorgeous, but a bit impractical, so I am planning to replace it with a wee tab ith velcro on it. 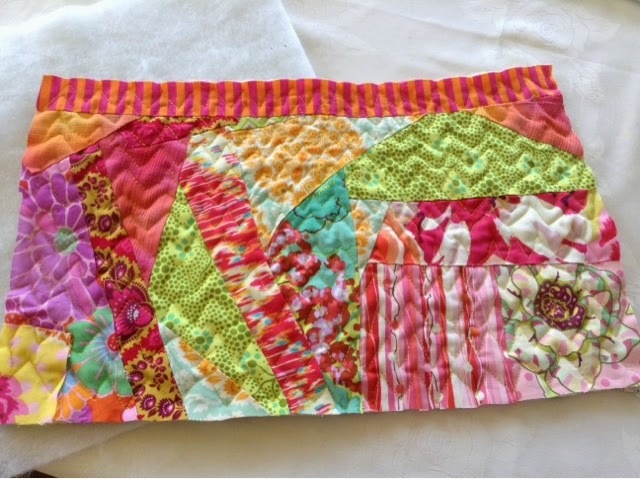 I had so much fun with this little creation, piecing the crazy patchwork, then doing swirly spirals all over. During the week I decided I need a little bag to carry keys, phone and hanky when out with my class, so I grabbed some scraps and put together a panel. 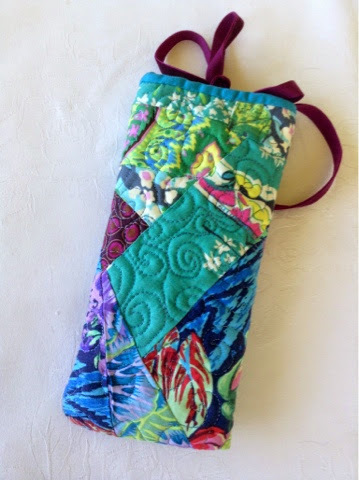 I'm going to fold it in half, sew along the side and bottom, then line it. Chevrons are everywhere currently, so I did some wonky chevron styled zig zag free machine quilting all over. A bit tricky to get even with the stop and change of direction, so it is a bit rough. 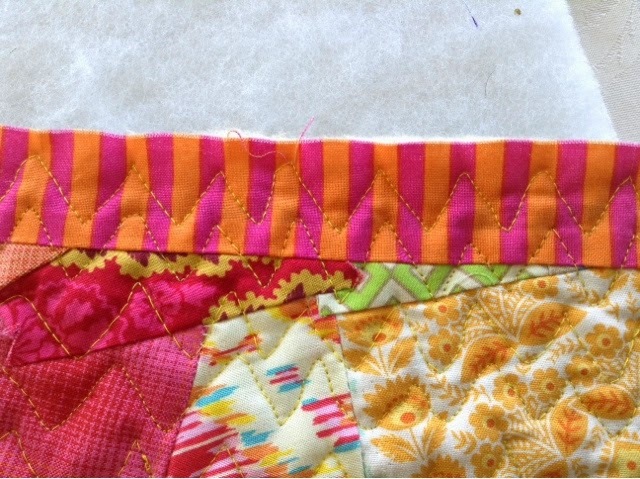 A bit more time and care and the zig zag chevron quilting would look awesome. On this randomly patched panel it is fine, but you would need to take care on solids as the uneven stitches would really show up. I need to do a crazy pieced strap too, I think. The creative process evolves as these projects progress as I haven't got a plan or a pattern. I wonder what the finished bag will look like?